I have seven children by God's grace and with His blessing. One of my daughters had a serious life threatening emergency. I will share with you how she was miraculously healed by God. In 2008 I was diagnosed with a tumor in my brain stem; and due to its location it was NOT operable. The neurosurgeon told me that people do NOT live past 18 months with this type of condition. I started praying that scripture over myself several times daily. If you want to meet the Healer, Yeshua HaMashiach―Jesus the Anointed One―NOW is the time! "Messiah Jesus, I know that you are The Great Physician. You loved me enough to shed your sinless blood and die for me on the cross stake that I might be healed. I know you are alive. Please forgive my sins, come into my life, and be my Master. Help me to live for you, and take me to Heaven when I die." Below is my RECENT book which will help you to know how to deal with specific health conditions―so you can serve God― enjoying life the way God wants you to. The Holy Spirit is God's Agent on earth to supply the resurrection power of Christ. 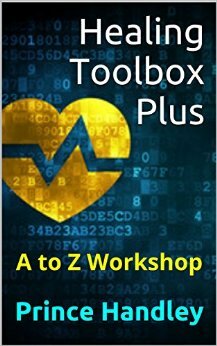 Here it is >>> Healing Toolbox Plus: A to Z Workshop … just click on the image below.